Currently I’m working on a PIII build and I’m putting a Voodoo 2 SLI setup in it, but I’m concerned about them getting to hot. I would use a PCI slot fan but all of the slots are already taken up by other cards. Would screwing a fan to the side panel be just as effective or would I be better off attaching some heatsinks to the TMUs? Well attaching heatsinks is good, and if you have a proper airflow into the case it should be enough. Just remember to use a slight positive pressure in the case ventilation if possible. Phil's Computer Lab did a video on Voodoo2 cards, chip temperatures, and cooling. I watched it earlier today. What a weird coincidence. I've considered using thermal epoxy to bond heatsinks onto all three of my cards (12 heatsinks in total), but I haven't had the nuts to do it as it would permanently cover up the chip's markings and those cool 3dfx logos on them. If you have a side-mounted fan on your case, it's probably on an area that would blow straight down onto the cards. Phil showed that just having one nearby fan blowing cool room-temperature air (which your side-fan would provide) dropped the temperature roughly 20 degrees Celsius - WITHOUT a heatsink attached. That's impressive. Having said that, if you think your temps will be a problem even with the side-mounted case fan, then go with the heatsinks. It will even further cool the chips to the point where you'll never have to worry about them again. But I've been running SLI 12MB Voodoo2 cards in my case with NO side-fan (the case doesn't support one) and I haven't hit any kind of thermal issues yet (screen tearing, bad textures, missing pixels, dropped frames, etc.). It's really up to you. My situation and PC setup is probably different than yours. I only have a 600MHz Pentium III on a 100MHz FSB, so it's probably not enough power to get my cards cooking that hot. Anything I have faster already has vastly superior graphics cards, such as the Radeon 9550, GeForce 7800 GTX, GTX 480 SLI, or GTX 980ti. In the end, I’m probably going to make use both since both options are pretty cheap. While I haven’t had any issues with my Voodoo 2s yet, I’m just making sure they last as long as possible. 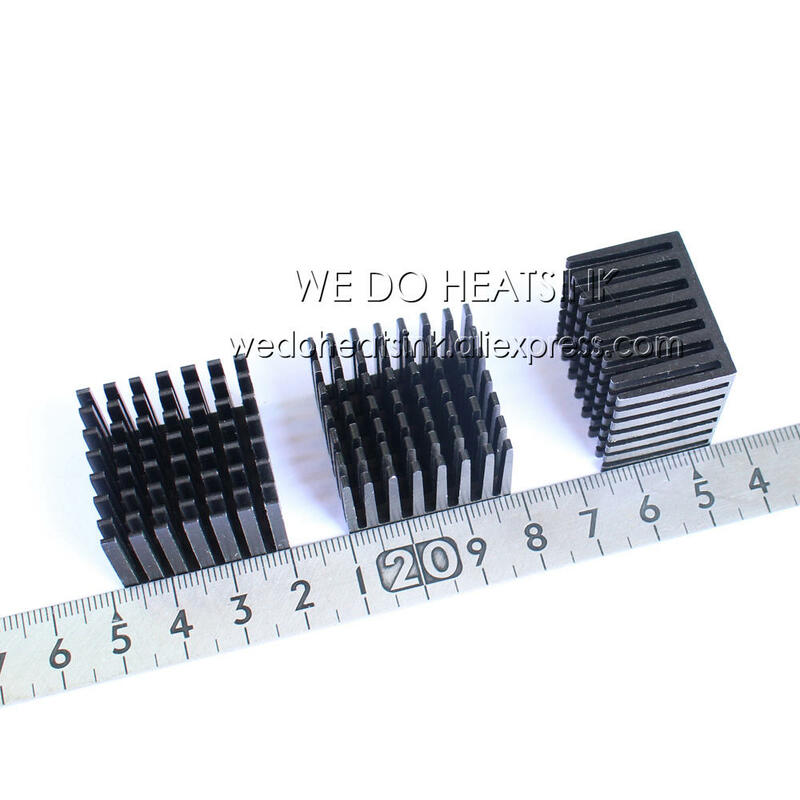 But when it comes to the heatsinks would taller be better? I once considered something like this, but the author charges for the model and I never sat down to create something similar. Yeah, I came across that too. It seems like that would be ideal, but I don’t have a 3D printer. slivercr wrote: I once considered something like this, but the author charges for the model and I never sat down to create something similar. Actually not a bad idea. Looks like that one, and a couple of decent heatsinks made from copper, would do the cooling nice. Though... What when there is only one V2? Idea, idea.... A new entry to Vogons drivers. Free 3D printer files (or what's the name is) library or section. Community based/driven 3D printed solutions for retro computers. 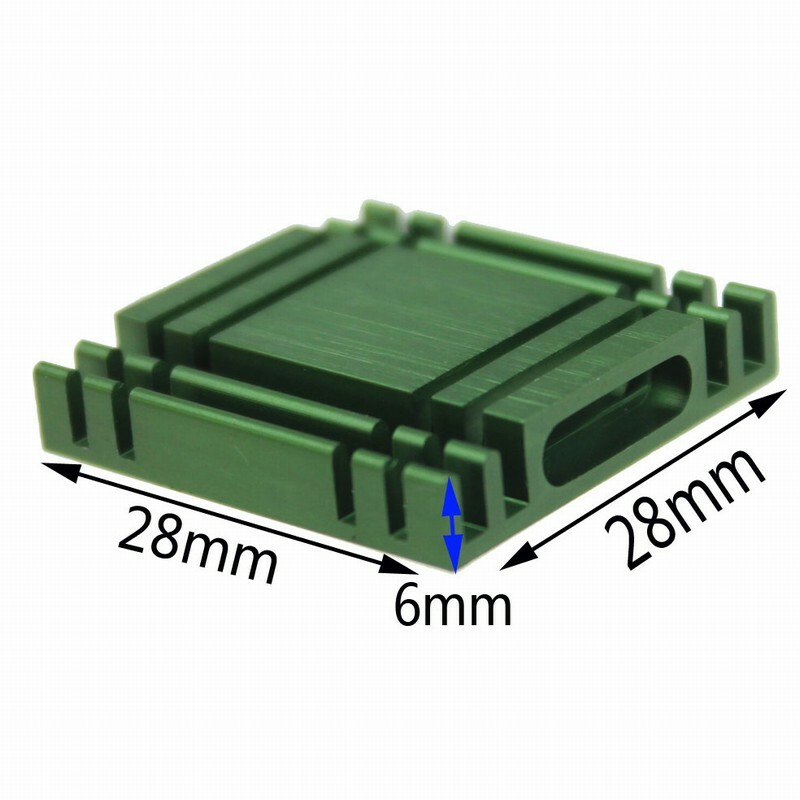 Would these heatsinks do? They’re not copper though, for some reason I couldn’t any copper heatsinks that were big enough to cover the main chips. Also is it worth putting a heatsink on the DAC? I’ve seen some people put a heatsink on theirs. The aluminium metal doesn't concern me. It will conduct heat way just fine. What concerns me is the 3M tape on the bottom acting as a potential insulator. There's a reason people use thermal epoxy instead of tape on projects like these. The Epoxy is DESIGNED to channel heat just like thermal paste is. 3M tape is not. FFXIhealer wrote: The aluminium metal doesn't concern me. It will conduct heat way just fine. What concerns me is the 3M tape on the bottom acting as a potential insulator. There's a reason people use thermal epoxy instead of tape on projects like these. The Epoxy is DESIGNED to channel heat just like thermal paste is. 3M tape is not. Would I just be able to remove 3M tape and replace it wih epoxy? Probably. There are ways to remove sticky crap. Razor blades, alcohol, Goo-b-gone, vinegar, yadda yadda. 28x28x6mm heatsinks have a lot of cheap sources on eBay, and they fit on the Voodoo2 chips just right. There's some room to go a little taller than that, but I don't think it's necessary. For an adhesive would I be better off using thermal tape or a paste? The 3M type TIM tape is probably a valid option, but thermal adhesive paste will perform better. But i'm still unsure, should I use something taller (https://ae01.alicdn.com/kf/HTB1xY77JQPo ... 1IXXao.jpg)? These are 28x28x20. Should I use an heatsink on the ramdac too?